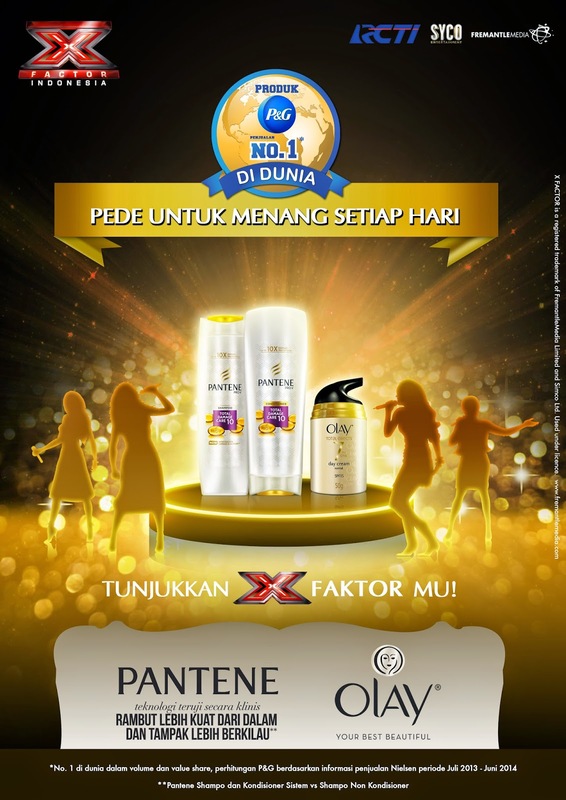 Last April, I was invited by Pantene & Olay Indonesia to learn more about X Factor Indonesia; an Indonesian television music competition to find new singing talent; the winner of which receives a 1 billion rupiahs recording contract with Sony Music Indonesia. One of the judges was there; Rossa. She emphasized that it's essential for the contestant not only to maintain their performance quality in terms of singing or dancing, but also their appearance. So it's a must for them to take care of their assets, especially hair and skin in order to become a star. With healthy skin and hair, of course it will boost their confidence when performing on stage. You can also check X Factor Indonesia youtube for more inspiring video and tutorial to enhance your beauty and confidence. And the most important message from the event is that we can win everyday by doing things that we do everyday. You're a student? You can win by study hard and get the best score in class. Or even if you're a career woman, you can win by reaching your KPI.